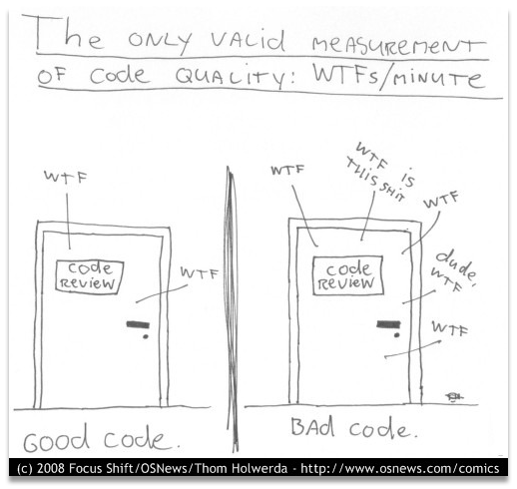 It’s not that much easy to measure the code quality???? 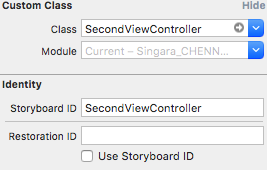 This code will be really useful to you to change the view controller using Storyboard ID. There were 2 view Controllers named FirstViewController and SecondViewController respectively. 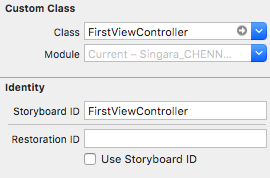 If you want to move from FirstViewController to SecondViewController there is a simple Code using Storyboard ID. Write a code in FirstViewController. MaterialBarcodeScanner: Easy to use barcode reader for your Android Project (Uses Google Mobile Vision API). By default a barcode is tracked/highlighted at the location at which it was found. With center tracking mode a square image will be shown during scanning that will turn green when a barcode is found. Please note that you can still scan a barcode outside the center tracker! This is purely a visual change. Android developers often face a predicament while passing object references to activities of whether to go with the Java Serialization method or opt for Android Parcelable. This blog is my attempt to compare the two techniques and cite an example to help decide which one of these is the best approach for passing an object from one activity to another. Passing primitive data types like string, integer, float, etc. through intents is quite easy in Android. All you have to do is put the data with unique key in intents and send it to another activity. If a user wants to send Java objects through intent, Java class should be implemented using the Parcelable interface. Serialization, on the other hand, is a Java interface that allows users to implement the interface which gets marked as Serializable. Android Parcelable implementation allows objects to read and write from Parcels which can contain flattened data inside message containers. If a developer wants to convert a Java object into Parcelable, then the best way to do so is by implementing the Parcelable interface and overriding the writeToParcel() methods in its own class. The first step is to override the writeToParcel() method and write all object members into parcel objects. The second is to create a static Parcelable.Creator object to de-serialize the Java object. Parcelable is well documented in the Android SDK; serialization on the other hand is available in Java. It is for this very reason that Android developers prefer Parcelable over the Serialization technique. In Parcelable, developers write custom code for marshaling and unmarshaling so it creates less garbage objects in comparison to Serialization. The performance of Parcelable over Serialization dramatically improves (around two times faster), because of this custom implementation. Serialization is a marker interface, which implies the user cannot marshal the data according to their requirements. In Serialization, a marshaling operation is performed on a Java Virtual Machine (JVM) using the Java reflection API. This helps identify the Java objects member and behavior, but also ends up creating a lot of garbage objects. Due to this, the Serialization process is slow in comparison to Parcelable. Fundamental Difference is probably the Visibility - GET request is sent via the URL string (appended to the URI with a question-mark as separator), which is visible whereas POST request is encapsulated in the body of the HTTP request and can't be seen. Length - Since, GET request goes via URL, so it has a limitation for its length. It can't be more than 255 characters long (though this is browser dependent, but usually the max is 255 characters only). Whereas no such maximum length limitation holds for the POST request for the obvious reason that it becomes a part of the body of the HTTP request and there is no size limitation for the body of an HTTP request/response. Performance - GET request is comparatively faster as it's relatively simpler to create a GET request and the time spent in the encapsulation of the POST request in the HTTP body is saved in this case. In addition, the maximum length restriction facilitates better optimization of GET implementation. Type of Data - GET request is sent via URL string and as we all know that URL can be text-only, so GET can carry only text data whereas POST has no such restriction and it can carry both text as well as binary data. Caching/Bookmarking - again for the obvious reason that a GET request is nothing but an URL hence it can be cached as well as Bookmarked. No such luxuries with a POST request. FORM Default - GET is the default method of the HTML FORM element. To submit a FORM using POST method, we need to specify the method attribute and give it the value "POST". Data Set - GET requests are restricted to use ASCII characters only whereas POST requests can use the 'enctype' attribute with a value "multipart/form-data" to use the Universal Multiple-Octet Coded Character Set (UCS). This Post helps to animate the android views expand and collapse like Expandable list view. Find below the code snippet. The best approach to use CData sections for the string in strings.xml file to get a actual display of the html content to the TextView the below code snippet will give you the fair idea. CData section in string text keeps the html tag data intact even after formatting text using String.format method. So, Html.fromHtml(str) works fine and you’ll see the bold text in Welcome message. Below is the main difference between these three most commonly used classes. String class objects are immutable whereas StringBuffer and StringBuilder objects are mutable. StringBuffer is synchronized while StringBuilder is not synchronized. Concatenation operator "+" is internal implemented using either StringBuffer or StringBuilder. If the Object value is not going to change use String Class because a String object is immutable. If the Object value can change and will only be accessed from a single thread, use a StringBuilder because StringBuilder is not synchronized one. In case the Object value can change, and will be modified by multiple threads, use a StringBuffer because StringBuffer is synchronized. The main idea is that String is immutable. So when you are trying to modify it, new object created. StringBuffer and StringBuilder are mutable. And the difference is the first one is thread-safe. The common approach to using StringBuilder is to parse something when you iteratively create a String object in a NON thread safe environment. It's better than just using String string = string + ("String" + num);. AFAIK, compiler will optimize using string concatenation in the loop to StringBuilder, but better to use it manually. StringBuffer is used when you have shared states, that are modified by concurrent threads. Its Simple way to enable the Datepicker when Click the text field in PHP Yii Frameworks. Step 1 - Install the Datepicker widget to the yii-2 with the help of procedures in the following link. Step 4 - Have to access the Datepicker at the beginning , just copy the following and paste it. 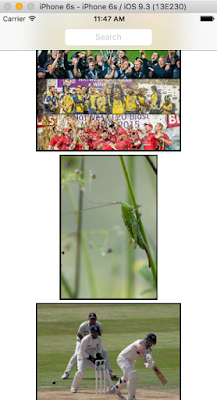 Click the Image once to Zoom the Image and Fit it to the Screen in UICollectionView . Its the Simple procedure that we have to alter the size of the UIImage when it is Tapped. You Just need to copy the code and paste it in your program. Here the Name "Photo" stands for the name of the UIImage and "yourCellName" stands for the name of the UICollectionViewCell. 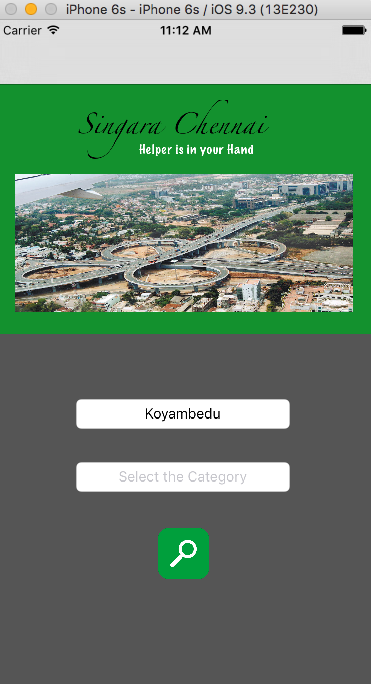 This Code will be really useful to find the location of the required place. We need to give latitude and longitude as Input . 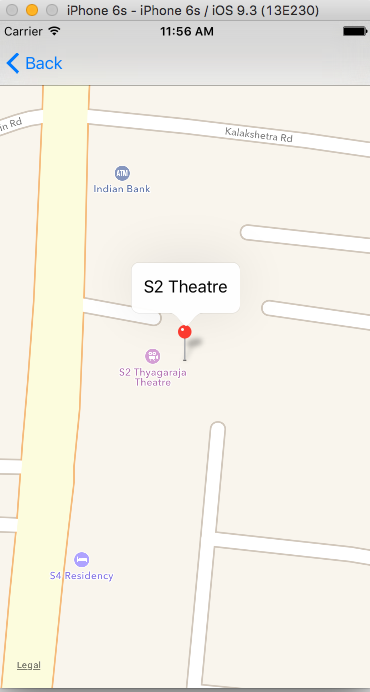 Here I want to Find the location of S2 Theatre, Thiruvanmiyur, Chennai . So, First I want to collect the latitude and longitude of the location. 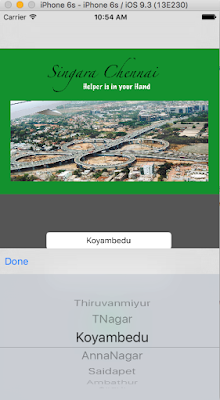 Insert a Mapview in Main storyboard and also Create an IBOutlet for MKMapView in View Controller. Copy this code into the viewDidLoad. Inside the variable location you have to include the latitude and longitude. Inside the variable span you have to include the zooming size that which required. Annotation is nothing but the marker present in the location. This code will really helpful to add button to the UIToolbar present in keyboard or pickerview. If you want "Done" button to be inserted in the toolbar of the pickerview. you just have to follow simple steps as follows. Have to include this code inside "viewDidLoad" to create "Done" button in UIToolbar. "textBoxText" is the name of the Text field. // create done button in toolbar. Code the function of "Done" button that has included in the UIToolbar. I have given that if "Done" button is tapped the PickerView have to disable. Have to call the function in "viewDidload"
Please find the below link to download the powerpoint presentations. This presentations will be a self explanatory and it helps the tyro programmers to-do the quality code and helps them follow the best practice. This covers the below concepts for the rudiments level. Soon will see you with the Intermediate and Advance level presentations. File path too long on windows, keep below 240 characters? Just do a below code change in your root build directory, since that is where most of the path issues will arise. The below code snippet will be most useful for the tyro's and intermediate developer to format their date values to the expected formats, no need to worry about the format what we are getting from the JSON or XML values. Just get the date value and make a input date format and define the separate string for expected output date format and also keep ready with the date value. Pass those params to the below utility method to get a expected date format as string. * Created by rajendhiran.e on 6/15/2016. If you are developing an Android app you may already fetching information from internet. While doing so there is a chance that internet connection is not available on users handset. Hence it's always a good idea to check the network state before performing any task that requires internet connection. You might also want to check what kind of internet connection is available in handset. For example is wifi currently enabled? or is mobile data network is connected. Here is a simple code snippet that will help you identify what kind of internet connection a user has on her device. First we need following permission in order to access network state. Add following permission to your AndroidManifest.xml file. Now check following utility class NetworkUtil. It has method getConnectivityStatus which returns an int constant depending on current network connection. If wifi is enabled, this method will return TYPE_WIFI. Similarly for mobile data network is returns TYPE_MOBILE. You got the idea!! There is also method getConnectivityStatusString which returns current network state as a more readable string. You can use this utility class in your android app to check the network state of the device at any moment. Now this code will return you the current network state whenever the utility method is called. What if you want to do something in your android app when network state changes? You can easily handle the changes in network state by creating your own Broadcast Receiver. Following is a broadcast receiver class where we handle the changes in network. Check onReceive() method. This method will be called when state of network changes. Here we are just creating a Toast message and displaying current network state. You can write your custom code in here to handle changes in connection state. 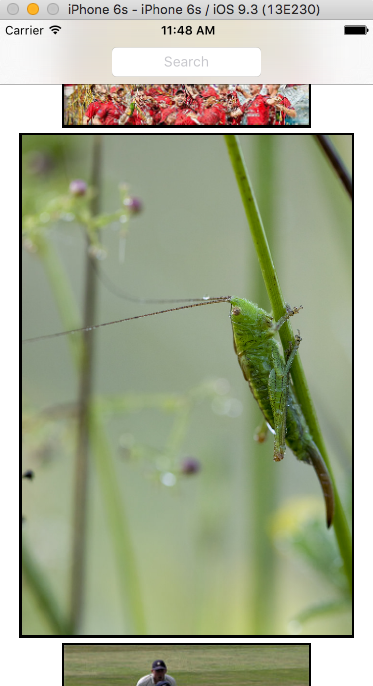 Once we define our BroadcastReceiver, we need to define the same in AndroidManifest.xml file. Add following to your manifest file. The 2016 Workforce-Skill Preparedness Report of Pay-scale, a salary tracking site, is out with many interesting trends related to the current tech job scenario. The report outlines that Go, Scala, and Python, along with big data tech provide the highest boost in your paycheck. if you are willing to grab a big bite of salary boost by learning some new technology or programming language, we are here to help you.It’s a no hidden fact that the knowledge of big data skills is the most in-demand in the tech world. Today, the job market is witnessing a paradigm shift and big data skills like Hadoop and Apache Spark, along with Python, Go, and Scala, are gaining high in highest paid lists. Using its pay-tracking database, the same trend in IT and other industries has been observed by Pay-scale. These results have been published recently in its 2016 Workforce-Skills Preparedness Report. Among the highest valued skills that provide the biggest pay boost, all are tech related. Out of such top nine skills, seven are directly related to the deep knowledge of programming languages, frameworks, and operating systems. The biggest jump is provided by the functional programming language Scala with an average pay jump of 22.2 percent. Google’s Go programming language followed Scala at the second place with a 20 percent pay boost. While Python didn’t crack the top positions in this list, it had a prominent presence in Pay Scale's survey. Depending on the job titles, Python was found to provide a pay boost of up to 8-14 percent. Image Scaling will be huge blocker for the android developers, In our modern world applications are never been without the dynamic images. So the images has be fitted as to the aspect ration into the views and correspondingly it needs to work on multiple devices and its sizes. The below code snippet will be really helpful for us. // bounding box AND either x/y axis touches it.